Midland, Texas is a wonderful place to raise a family. This warm, welcoming city is the county seat for Midland County, and is located in the Southern Plains area of the great state of Texas. The region’s economy was traditionally based on the petroleum industry (from the rich oil deposits of the Permian Basin), but recent decades have seen the development of a large telecommunications industry too. Nicknamed “The Tall City," in reference its impressive historical downtown skyline, Midland boasts a wonderful array of family-friendly entertainment and recreational events. The city calendar offers festive events all year round, like the Summer Concert Series and the famous Tall City Blues Fest. From the local, bustling Farmer's Market to the Midland Convention and Visitors Bureau, Midland offers something for everyone. For residents who want to start a family, but are dealing with fertility complications, Dr. Janelle Dorsett and her caring staff serve Midland residents at the Centre for Reproductive Medicine in Lubbock. Learn more about our services by scheduling a consultation at our practice today. In vitro fertilization: Also known as IVF, this treatment involves fertilizing a woman's eggs prior to transferring them into the uterus. This drastically improves the odds of conception for patients who have had difficulty conceiving because of complications involving ovulation, endometriosis, and problems with sperm antibodies. Egg donation: Oocyte donation occurs when a woman donates her eggs to a couple so that they may conceive a child. The eggs are then fertilized and implanted into the mother’s uterus for gestation. Tubal ligation reversal: Many women have undergone tubal ligation in order to prevent becoming pregnant, only to change their minds later in their lives. If you are ready to welcome a baby into your life, then you might be a candidate for the procedure. It requires only a small incision, and a week or two of recovery time. Artificial insemination: This procedure uses a catheter to insert concentrated doses of sperm directly into the uterus. The procedure is performed one day after the ovary has released one or more eggs, when the chance of fertilization and implantation is at its highest. Infertility testing: Tests are determined by a medical examination and your medical history, and may include additional tests such as sperm count. 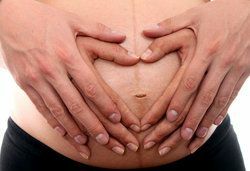 Gestational surrogacy services: Many women are ready to be mothers, but find themselves unable to carry the baby themselves for various reasons. We offer gestational surrogacy as one more option for hopeful parents. This service is provided in combination with other medical fertility services such as IVF. We understand the frustrations and difficulties that infertility creates. Let our caring staff help you to reach your dream of becoming a parent. Reach out to us today to schedule a consultation with Dr. Dorsett.